After two nights of incredible heart-stopping USMTS qualifying races at the Humboldt Speedway on Thursday and Friday, the fields are set for Saturday’s main events at the King of America IX Modified Nationals powered by Summit Racing Equipment. And with two nights of solid performances, two-time USMTS national champion Ryan Gustin of Marshalltown, Iowa, will be seeking his third King of America crown from the pole while last year’s USMTS Grant Junghans Rookie of the Year, Jake O’Neil, will take the green flag from the outside of the front row. Rodney Sanders and Kyle Strickler will fill row two. Ricky Thornton Jr. will start from the third row along with Jason Hughes. Row four will see Dereck Ramirez and Zack VanderBeek while the fifth row has Hunter Marriott on the inside of defending race winner Lucas Schott. The final two drivers to get locked in to Saturday’s 75-lap finale at Travis Saurer and Brady Gerdes. Tyler Wolff and Kelly Estey will lead the 24-car “B” Main field to the green flag. USMTS competitors will be seeking a $12,000 top prize while the B-Mods will battle for $8,500 to win Saturday’s Battle at The Bullring V main event. 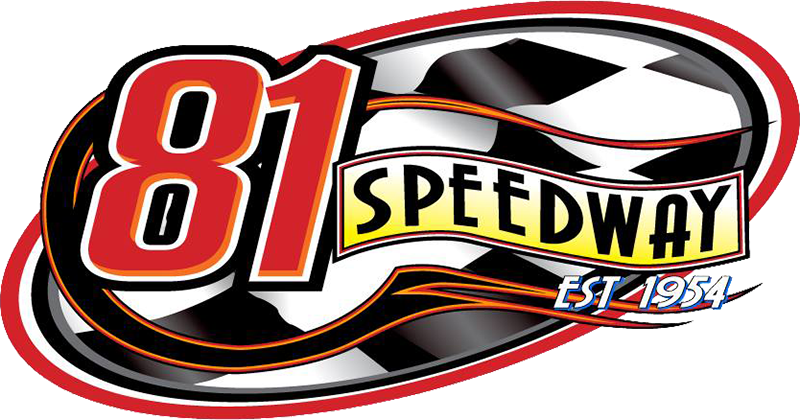 Drivers raced in two heat races on Thursday and two on Friday with each driver’s best three efforts counting toward Saturday’s feature lineups. Tie-breakers, if needed, were determined by their fourth heat races. The top 12 in passing points from the first two nights were locked into Saturday’s championship with the remainder of the field coming from Saturday’s “B” Mains, “C” Mains and Last Chance races..
B-Mods will award three provisionals (one each from IMCA, USRA and Wissota national points) from the pool of drivers that fail to qualify for the “A” Main on Saturday. A past champion provisional will not be needed for the USMTS finale because all past champions in attendance are already in the “A” Main. For those unable to attend the event in person, RacinDirt will broadcast every lap of every race in both divisions. Fans and drivers should also download the MyRacePass app and follow along with live timing and scoring of each race. 1. (2) 26 Shawn Fletcher, Brainerd, Minn.
2. (4) 16S Chad Lyle, Oak Grove, Mo. 3. (3) 88 Randy Klein, Lisbon, S.D. 4. (1) 21 Jacob Bleess, Chatfield, Minn.
6. (9) 16 Austin Siebert, Grandview, Mo. 8. (6) 07 Cory Crapser, Chippewa Falls, Wis.
9. (12) 55 Nathan Hagar, Adair, Okla.
10. (11) 32Y Jesse Young, Warner, S.D. 11. (8) 7 Willie Gammill, Siloam Springs, Ark. 12. (5) 144 Ethan Dotson, Bakersfield, Calif.
1. (4) 37 Kelly Estey, Kelly Lake, Minn.
2. (6) 96M Mike McKinney, Plainfield, Ill.
3. (11) 2X Brady Gerdes, Villard, Minn.
4. (1) 20A Trevor Anderson, Watertown, S.D. 5. (9) 1K Tim Karrick, Basehor, Kan.
6. (7) 44T Tanner Black, Otis, Kan.
7. (10) 71 Jim Body, Diamond, Mo. 8. (8) 26G Ryan Gierke, Villard, Minn.
9. (2) 75T Tad Davis, Mt Hope, Kan.
10. (3) 0 Jake O Neil, Tucson, Ariz.
11. (12) 24H Mike Harrison, Highland, Ill.
12. (5) 32 D.J. Shannon, Merced, Calif.
1. (7) 12 Jason Hughes, Salina, Okla.
2. (8) 2GK Kyle Strickler, Mooresville, N.C.
3. (6) 90 Steve Wetzstein, West Concord, Minn.
4. (11) 62 Hunter Marriott, Brookfield, Mo. 5. (4) 292 Kyle Thompson, Joplin, Mo. 6. (10) 36 Kenny Wallace, St. Louis, Mo. 7. (5) 18JR Chase Sigg, Iola, Kan.
8. (12) 75 Terry Phillips, Springfield, Mo. 9. (3) 8C Richard Mueller, Jackson, Wyo. 10. (1) 15 Dale Proctor, Hector, Ark. 11. (9) 2G Brandon Givens, Hutchinson, Kan.
1. (4) 4W Tyler Wolff, Fayetteville, Ark. 2. (6) 87 Darron Fuqua, Mayetta, Kan.
3. (2) 71C Jason Cummins, New Richland, Minn.
4. (1) 99 Josh Angst, Winona, Minn.
5. (9) 23 Adam Kates, Tonganoxie, Kan.
6. (3) 91 Joe Duvall, Claremore, Okla.
7. (7) 49JR Jake Timm, Winona, Minn.
10. (10) 19 Dustin Sorensen, Rochester, Minn.
11. (5) 17 Mike Striegel, Hermitage, Mo. 12. (11) 96T R.C. Whitwell, Tucson, Ariz.
1. (2) 44 Adam Hensel, Baldwin, Wis.
2. (5) 65 Tyler Davis, Haysville, Kan.
3. (6) 21X Travis Saurer, Elizabeth, Minn.
5. (8) 02 Tanner Mullens, Wichita, Kan.
6. (7) 30 Matt Leer, Bruce, Wis.
8. (3) 22H Dustin Hodges, Centralia, Mo. 9. (9) 25 Scott Green, Derby, Kan.
10. (12) 40W Jessy Willard, Mound City, Kan.
11. (4) 50 Aaron Holtan, Newfolden, Minn.
12. (1) 3 Arne Anderson, Watertown, S.D. 1. (3) 89 A.J. Diemel, Elk Mound, Wis.
2. (5) 4R Dereck Ramirez, Woodward, Okla.
3. (9) 69 Lucas Schott, Chatfield, Minn.
4. (1) 111 Bumper Jones, Mesilla Park, N.M.
5. (4) 38C Jason Pursley, Hermitage, Mo. 7. (6) 9D8 Paden Phillips, Chanute, Kan.
8. (10) 52 Jason Thoennes, Garfield, Minn.
9. (12) 34 Noah Daspit, Kiln, Miss. 11. (8) 61 Logan Rogers, Freeport, Ill.
12. (2) 13X McKenzie Gerdes, Alexandria, Minn.
1. (2) 96T R.C. Whitwell, Tucson, Ariz.
3. (8) 4R Dereck Ramirez, Woodward, Okla.
4. (4) 1K Tim Karrick, Basehor, Kan.
6. (1) 34 Noah Daspit, Kiln, Miss. 7. (12) 26 Shawn Fletcher, Brainerd, Minn.
8. (10) 22H Dustin Hodges, Centralia, Mo. 9. (5) 61 Logan Rogers, Freeport, Ill.
10. (7) 96M Mike McKinney, Plainfield, Ill.
11. (9) 37 Kelly Estey, Kelly Lake, Minn.
12. (6) 7 Willie Gammill, Siloam Springs, Ark. 1. (2) 62 Hunter Marriott, Brookfield, Mo. 2. (8) 07 Cory Crapser, Chippewa Falls, Wis.
4. (3) 32Y Jesse Young, Warner, S.D. 5. (11) 75T Tad Davis, Mt Hope, Kan.
6. (5) 16 Austin Siebert, Grandview, Mo. 7. (12) 20A Trevor Anderson, Watertown, S.D. 8. (7) 9D8 Paden Phillips, Chanute, Kan.
9. (1) 75 Terry Phillips, Springfield, Mo. 10. (9) 144 Ethan Dotson, Bakersfield, Calif.
11. (4) 2G Brandon Givens, Hutchinson, Kan.
12. (10) 8C Richard Mueller, Jackson, Wyo. 2. (3) 19 Dustin Sorensen, Rochester, Minn.
4. (9) 4W Tyler Wolff, Fayetteville, Ark. 5. (11) 71C Jason Cummins, New Richland, Minn.
6. (10) 16S Chad Lyle, Oak Grove, Mo. 7. (4) 1M Curt Myers, Cameron, Wis.
8. (8) 17 Mike Striegel, Hermitage, Mo. 10. (5) 26G Ryan Gierke, Villard, Minn.
11. (2) 55 Nathan Hagar, Adair, Okla.
12. (12) 111 Bumper Jones, Mesilla Park, N.M.
2. (10) 0 Jake O Neil, Tucson, Ariz.
3. (3) 52 Jason Thoennes, Garfield, Minn.
4. (12) 99 Josh Angst, Winona, Minn.
5. (9) 38C Jason Pursley, Hermitage, Mo. 6. (5) 02 Tanner Mullens, Wichita, Kan.
8. (6) 30 Matt Leer, Bruce, Wis.
9. (1) 40W Jessy Willard, Mound City, Kan.
10. (11) 13X McKenzie Gerdes, Alexandria, Minn.
11. (4) 23 Adam Kates, Tonganoxie, Kan.
12. (8) 32 D.J. Shannon, Merced, Calif.
3. (7) 21X Travis Saurer, Elizabeth, Minn.
4. (5) 42 Paul Niznik, Medford, Wis.
5. (6) 44T Tanner Black, Otis, Kan.
6. (11) 88 Randy Klein, Lisbon, S.D. 7. (3) 71 Jim Body, Diamond, Mo. 8. (9) 50 Aaron Holtan, Newfolden, Minn.
9. (8) 18JR Chase Sigg, Iola, Kan.
10. (10) 89 A.J. Diemel, Elk Mound, Wis.
11. (12) 15 Dale Proctor, Hector, Ark. 12. (1) 24H Mike Harrison, Highland, Ill.
1. (4) 2GK Kyle Strickler, Mooresville, N.C.
2. (2) 36 Kenny Wallace, St. Louis, Mo. 3. (5) 12 Jason Hughes, Salina, Okla.
5. (1) 2X Brady Gerdes, Villard, Minn.
6. (7) 65 Tyler Davis, Haysville, Kan.
7. (6) 87 Darron Fuqua, Mayetta, Kan.
8. (10) 44 Adam Hensel, Baldwin, Wis.
9. (8) 292 Kyle Thompson, Joplin, Mo. 10. (3) 25 Scott Green, Derby, Kan.
11. (12) 21 Jacob Bleess, Chatfield, Minn.
12. (11) 3 Arne Anderson, Watertown, S.D. Next Race: Saturday, March 23, Humboldt Speedway, Humboldt, Kan.
Fast Shafts – Estey, Marriott. PEM Racing Gears & Drivetrain – Bleess. Simpson Performance Products – Fletcher, Whitwell.